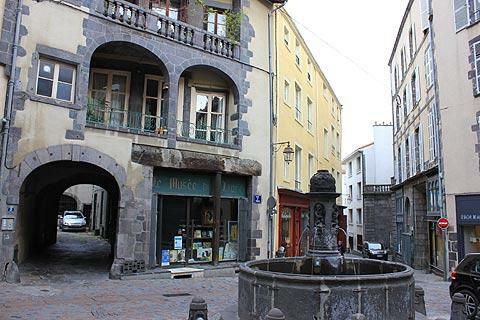 Surrounded by dormant volcanoes and with buildings made from black lava stones, Clermont-Ferrand is the capital of the Auvergne region. The city was originally two towns, Clairmont and Montferrand, which were joined by Louis XIII. 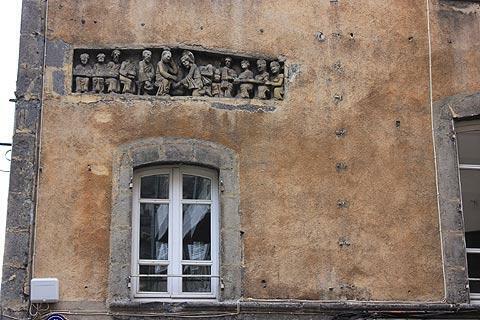 Although the city is not really a tourist town it is none-the-less an attractive city and it has some interesting highlights and one of the most active music scenes in France and is a good base for exploring the Auvergne. As one of the oldest cities in France, Clermont-Ferrand has a long history that has left a mark on its contemporary image. 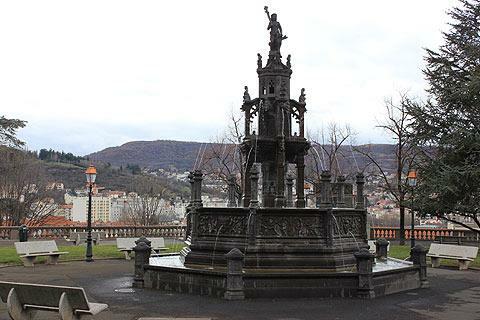 Whilst Clermont-Ferrand is now one city it has two distinct historic centres: Clermont contains the key historic sights and Montferrand is one of the best historically preserved towns in France. 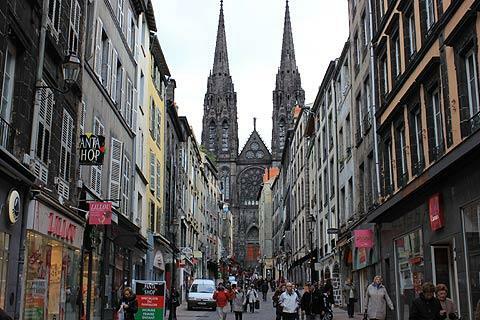 Start your visit in the lively Place de Jaude, the central square in Clermont-Ferrand. 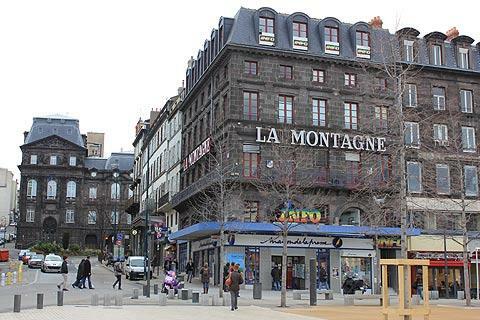 Among the most impressive buildings dating from the end of the 19th century in Clermont-Ferrand are the Municipal Opera and the Galaries Lafayette building on Place de Jaude. 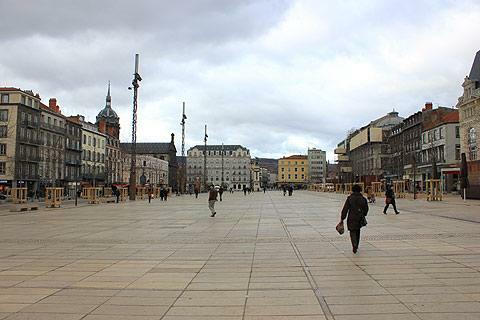 The Place de Jaude is the main square in Clermont-Ferrand and is huge. Magnolia and tulip trees decorate the square. 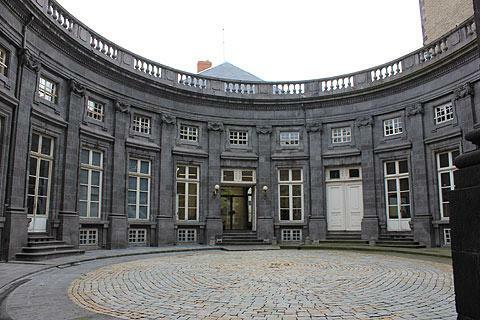 The Hotel de Chazerat, with its curved-shape, is built in 18th century neo-classic style. It is now the Regional Office for Cultural Affairs and you can arrange a visit through the tourist office. Its lobby is painted in trompe-l'oeil and its main salon has lovely white and gold plasterwork. 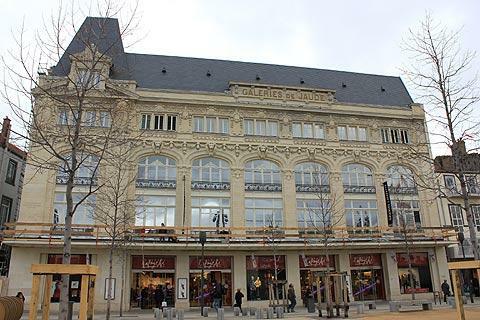 The theatre, also by the Place de Jaude, is another impressive building with a rich interior decor. In the centre of the square you can see the statue of Vercingetorix by Auguste Bartholdi. Another statue, this time of Pope Urban II, is situated on the Place de la Victoire and commemorates the pope’s 1095 speech in Clermont-Ferrand that led to the First Crusade. In 52 BC, Vercingetorix lead the Gauls to victory against Julius Caesar’s Romans in a battle at the site of the settlement that later became Clermont-Ferrand. Although the Gauls were eventually defeated, the dramatic statue of the Gaul on his galloping horse reflects the heroic presence he has in French history. The historical centre of Ferrand was built in the style of the bastides of the south-west of France and is rich in mansions of the 15th and 16th centuries including the Hôtel de Fontenilhes, the Hôtel de Fontfreyde and the Hôtel d'Albiat. 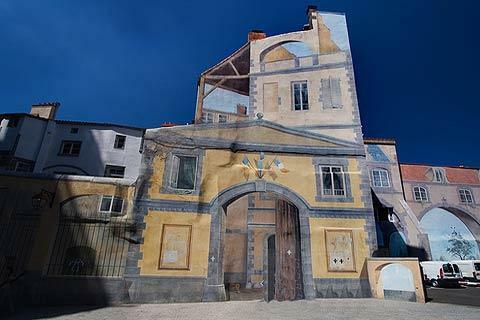 Throughout the town you can see beautiful Renaissance mansions and attractive squares complete with fountains: in total there are fifty fountains to be seen! Clermont's prosperity during the Middle Ages led to the building of its large Gothic cathedral and superb Romanesque basilica. The city’s most imposing landmark is the Cathédrale Notre-Dame-de-l'Assomption and its black spires are visible from almost every part of the town. It was constructed out of lava rock and is adjacent to the Place de la Victoire. The cathedral is Gothic in style with the tall, narrow arches typical of Gothic buildings as well an impressive collection of stained-glass windows. 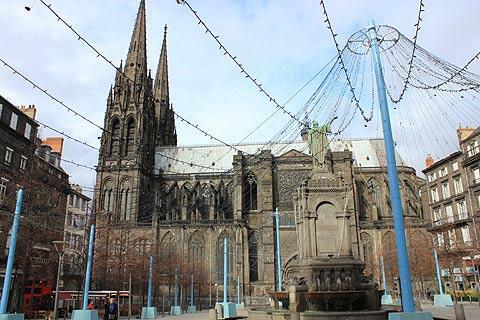 Another religious monument to visit in Clermont-Ferrand is the 12th century roman style basilica Notre-Dame-du-Port, listed as a UNESCO World Heritage Site. 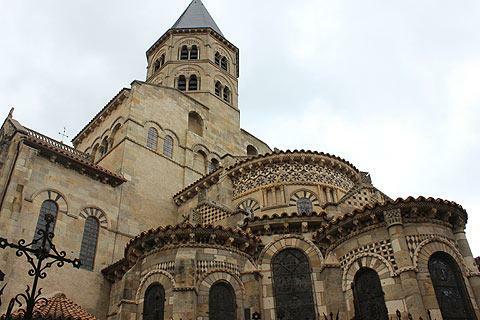 The basilica is located off the Rue du Port and is one of the most impressive of the roman style churches in the Auvergne region. Take a look at the fantastic mosaic details on the semi-circular chapels then admire the inside which is nice and light and airy. 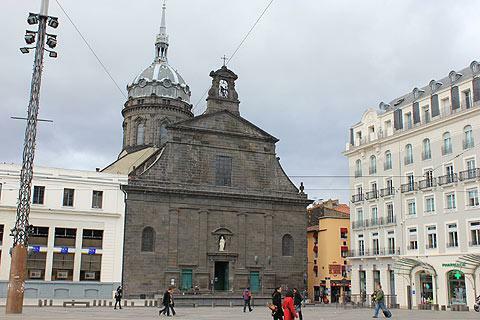 The narrow streets around the two churches are worth exploring and many of the buildings in the area are also made from volcanic rocks. Restaurants and cafes are located throughout the center of town and in warmer months it is enjoyable to buy a sandwich to take to the Jardin Le Coq. There is also a café located in the center of the park. The Parc Montjuzet is another option, although it is a steep walk up to the top. Once there, however, the view of the city is worth the fatigue. Restaurants in Clermont-Ferrand reflect the regional Auvergne specialties through cheeses like Cantal, Saint-Nectaire, and Fourme d’Ambert. The city is the host of the annual Festival International du Court-métrage (International Short Film Festival), which is held at the end of January and has competitions and screenings for international short films. 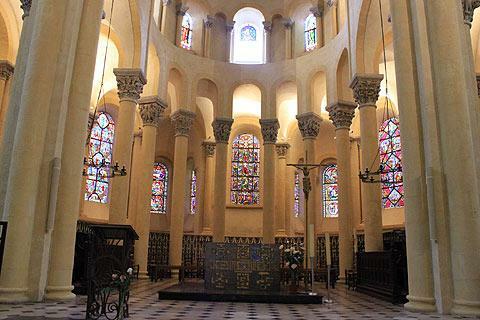 It also has a large number of music, theatre and dance festivals and is an important cultural centre in France. 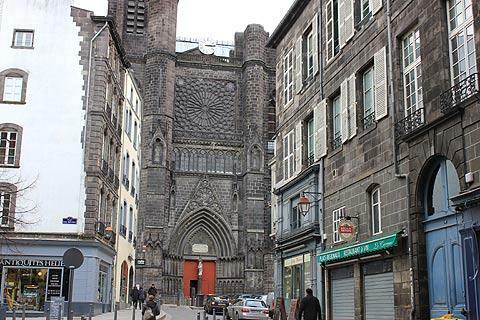 Of the dormant volcanoes that surround Clermont-Ferrand, the Puy-de-Dôme is the highest and most easily accessible. A summer bus runs to the top of the volcano where there is a restaurant, hiking, and parasailing overlooking the city and lovely views along the beautiful chain of green volcanos in the Parc des Volcans. You can find more local travel ideas in the Puy-de-Dome guide and the Auvergne guide.